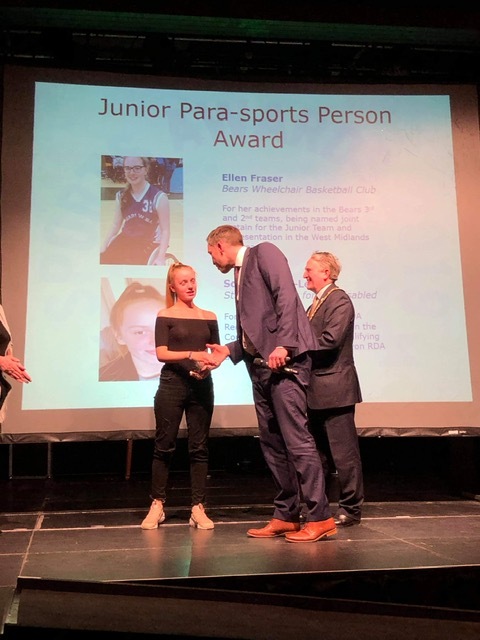 Well done to our amazing rider, Sophie Evans, who won the Junior Para Sports Person award for the second year at the Stratford on Avon District Council Sports Award ceremony last week for her achievements in horse riding. The Awards were hosted by Steve Parry, GB swimmer and Olympic Bronze medallist, who is seen here offering his congratulations. Very well deserved Sophie! Thank you to our Coaches and volunteers who have contributed to her riding sessions.